The “paleo diet”: it’s likely you have heard of this eating lifestyle from friends, family, or popular media in the last few years. With magazines, health summits, and even personal coaching services springing up around this way of life, paleo has become a bit—dare we say—normal. But how did paleo get popular and why? Does a lifestyle built on paleo have staying power? What’s most important about it, and why? Dig in, keep reading, and you’ll learn the basics of paleo from soup to nuts. The phrase “paleo diet” has been on an upward trendline starting in 2010, with a relative peak in 2015. Since then, popular knowledge of paleo has been steady, even while new search behavior has declined. Does this mean paleo is falling out of favor? Heck, no! New searches for paleo on the decline means that many folks already have paleo in mind, consulting search engines less frequently. Talk to anyone who is into any specific diet these days and it might sound like paleo has been, well, forgotten. No matter what time of year, many of our friends are following some kind of Reboot-Into-New-You plan, whether it’s to simply “eat healthier” or something rules-based with a specific length. In the end, when eating for the LONG term, paleo is oh-so-timely for our health, wellbeing, and the health of our food systems. Paleo might still inspire jokes about dragging bison home and wearing loincloths, but savvy folks know there’s real goodness inside the paleo approach. The truth is that the foundation of a paleo diet is solid, and it’s one of the best ways to approach nutrition that’s come along in decades. Paleo, done effectively, is to take the goal of simpler and more nutritious food and make it happen even when surrounded by the shelf-stable goods sold in our grocery stores. Paleo as a lifestyle (not just a diet) revolves around a few critical concepts: traditional food preparations to unlock nutrients, minimal processing of ingredients, and sustainably ethical sourcing. Many critiques of eating paleo actually come from those who have misinterpreted the philosophy of paleo, or have seen one too many photos of someone holding up a raw steak or a plate of bacon. In the paleo philosophy there is no emphasis placed on meat or any specific food. Despite how it might appear on social media, paleo doesn’t mean you must eat only bacon and kale, washed down with kombucha. Portrayals of paleo that miss the mark often include an over-reliance on meat and buttered coffee, with or without a heavy dose of strength training. Pay no attention to that stuff, and revel in real food ingredients. The rest will come naturally, including your health! When you get started with paleo, it helps to just think about ingredients rather than “foods”. Choose potatoes and eggs and local vegetables—all sourced as organically as possible for you—and cook and eat them with love. That’s it!? Yes, that’s it. When at the store, or at your farmer’s market, or shopping online, simply choose better. Instead of a paleo-friendly processed snack food, look to single ingredients most of the time. Raw nuts, dried beans, grass-fed meats, sustainable seafood: all great choices that fit in with a paleo lifestyle. Think of your goal as getting better each time: choose organic almost always, choose local when available, choose farmers who are doing things sustainably. Incrementally make your pantry and your fridge look more like an extension of a natural foods co-op and you’ll be on the correct path. Paleo recognizes that the human body evolved to eat animals at least some of the time. There is incredible nutrition to be gained from other animals, but only if you do it in a way that is healthy and sustainable. Factory farmed steaks and boneless skinless chicken breasts can’t hold up a nutritional candle to a grass-fed organic slice of liver or a can of bone-in sardines. When it comes to the combination of nutrition and sustainability, factory farming of animals is actually a lose-lose. Whether that’s a cattle feedlot that requires antibiotics to keep the herd alive long enough to get fat and harvested, or a salmon farm in the ocean that is destroying coral reefs while utilizing (yes, again) antibiotics and medicines to try to keep the fish healthy enough for their eventual turn at the grocery refrigerator package. Two things are required for humans to get the benefits of eating animals while protecting the health of the planet: eat LESS animals, and eat BETTER animals. This means moving towards traditional preparations and even animal choices: less steak, more organs. And, looking to the seriously “unconventional” animals: insects. 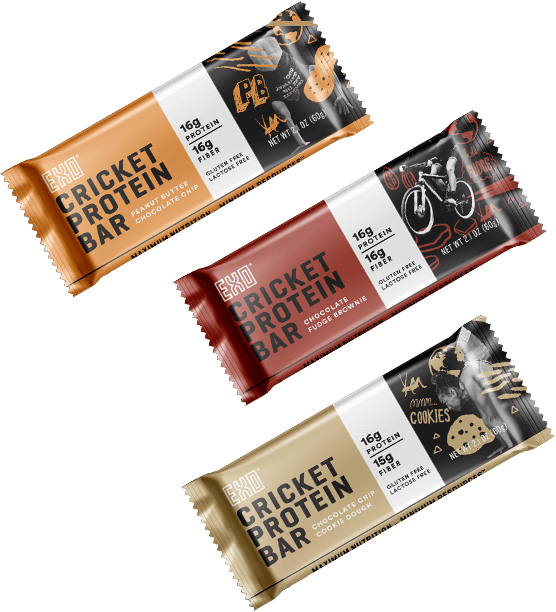 Yes, insects are nutritional powerhouses. And insects have been consumed by humans since there have been humans, including today in many cultures around the world. In fact, you already are familiar with a few delicious foods that are insect-like in structure and preparation: shrimp and lobster. These crustaceans are incredibly close to insects in their biology and their nutrition (even if quite a bit larger than something like a cricket or an ant). And we ADORE our shrimp and our lobsters. So what’s appealing about literally shrinking down our vision of eating animals? Nose-to-tail! If you’ve heard of “nose to tail” cooking, you can understand the appeal of insects. In nose-to-tail, chefs are inspired to use the whole animal so as to reduce waste and maximise nutrition when cooking. But with an insect like a cricket, the ENTIRE animal is right there, ready to enjoy and contribute to your good health. It’s so easy, it’s truly wonderful to discover the insect option to the paleo lifestyle. Look out, paleo: there’s a new and interesting hybrid in town: “pegan”! Occupying the middle ground between paleo and vegan is a new term, “pegan”. Take the whole-ingredient and sustainability mantra of both paleo and veganism, and tip it toward the plant-forward stance of vegans while still consuming minimal animal products: this is what constitutes a pegan lifestyle. It’s mostly vegan, minus any processed “vegan-friendly” foods and plus just enough sustainable animal ingredients to boost nutrition. Think: oysters once a week, ethically grown chicken liver a few times per month, insects on occasion or when the urge strikes. Keeping all of our choices lower on the food chain and higher on the sustainability curve is a good habit we can all support.